Make us your preferred auto repair shop today! In case you have other inquiries about our maintenance services, feel free to reach out to us through the contact information listed on this website. In need of remarkable auto repair services? Look no further than Action Automotive. Many clients in and around the Eastlake, OH area visit our shop for dependable auto maintenance solutions at cost-effective rates. From vehicle checkups to comprehensive electrical diagnosis services, we can surely do quality work for you. Check out the rest of this page to learn more about the array of services we offer. Come to our shop when your check engine light comes on. 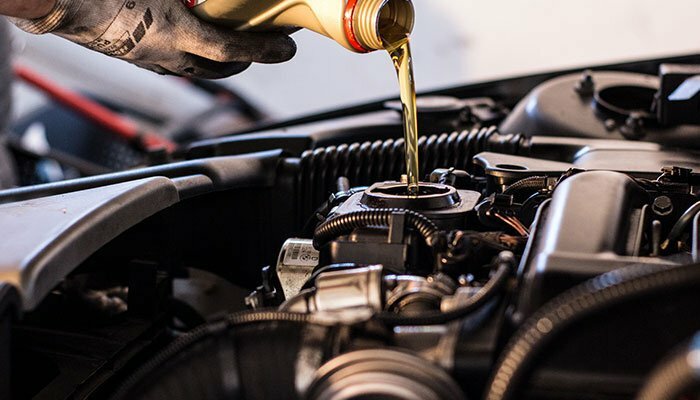 We’ll diagnose the problem and help you get back on the road in no time. We are a Jasper Engine Installation and Warranty Center. All of our new engines come with a 3-year 100K-mile warranty. Your transmission is one of the most complicated and important components of your car. Our skilled technicians have the experience to diagnose and fix any problem. In addition, we are a Jasper Transmission Installation and Warranty Center. A car’s brakes wear out over time, which is why it’s important to keep up with regular maintenance. We offer a wide variety of products that will surely fit your needs and budget. There are over 20 items in the average car for steering components. If you feel a clunk or hear a noise when turning, you should get the problem looked at right away. Most times, a simple repair ignored can turn into a major repair or, even worse, an accident. Your vehicle’s suspension is very important. Suspension inspections can save you money in the long run. A worn strut will cause tires to wear out more quickly. If you hear noises while driving, do not hesitate to take your car in for service. Our certified staff has all the tools and technology to keep both your heating and air conditioning working properly. If you notice a difference in performance, it is better to service the systems before they completely fail. Our certified technicians take pride in fixing electrical problems. We have up-to-date wiring diagrams for all makes and models. A vehicle’s wiring and computer system are very complex. Don’t just trust anyone—trust a professional. We are a leading provider for most major brands of tires. Our trained staff will be sure to assist you in finding the best option for your needs. We offer free tire rotations for life when you purchase a set from us. In most instances, our price on a good quality tire is less than a big box tire retailer selling off name brands for the same price—we dare you to compare. In addition, all of our tire quotes are out the door with no hidden fees or games. Maintenance is key. In most cases, just by following your owner’s manual maintenance schedule, you will not have any major breakdowns. We will assist you in keeping records, changing the oil and other fluids on time, and making sure you get the most out of your vehicle. We provide complete exhaust repair and replacement. In most cases, we can replace the exhaust for less money than other shops charge to patch an exhaust. We can also install custom exhaust systems in your muscle and classic cars.
" 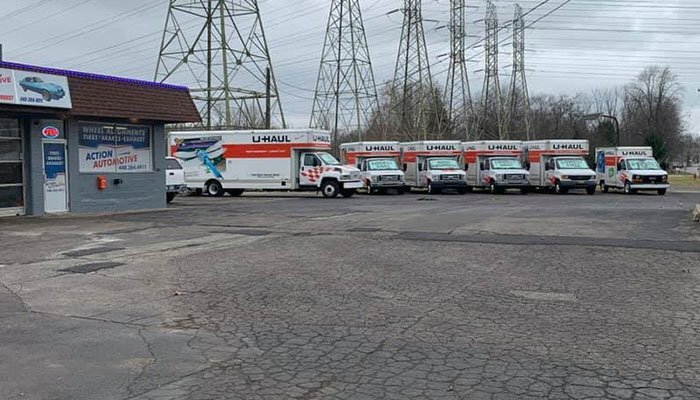 UHAUL Action Automotive is also proud to be your local U-Haul truck and equipment rental facility. " Do you have any questions about our auto repair shop? Perhaps you would like to learn more about the auto repair services our mechanics offer. Kindly give us a call or send us an email for more information. We will gladly walk you through the maintenance solutions we provide for your convenience. We hope to hear from you soon! We provide our services to clients in Eastlake, Lake County, and the surrounding areas.